Country star Randy Travis, who suffered a series of major health issues beginning in July, will finally be returning home to his ranch this weekend in Tioga, TX, just northwest of Dallas according to the singer’s representative. Travis was initially admitted to the hospital on July 7th, 2013 for viral cardiomyopathy, or a weakening of the heart muscle. While being treated for the condition at The Heart Hospital in Plano, TX, Travis suffered a stroke as a complication to the treatment, and had to undergo emergency surgery to relieve pressure on his brain. The surgery was successful, but Travis remained in the hospital until late July when he was moved to a rehabilitation facility to deal with the effects of the stroke. While in rehab, Travis contracted pneumonia according to friend Sammy Kershaw. Travis has been in inpatient care ever since. The health troubles came right as Travis was making a resurgence in his career. He’d recently released a single “Tonight I’m Playing Possum,” a tribute to the recently-passed George Jones. On September 30th, Travis released Influence Vol. 1: The Man I Am, and album of cover songs that inspired his country career. Travis’s rep says he’s “currently in Texas in physical therapy and doing great!” but there is still no word on any long-term effects Randy might have suffered during the numerous health scares, or if he plans to perform or to make any public appearances anytime soon. I’m absolutely relieved to hear this. Travis has been through a lot in this past year. When I heard at the beginning of the year of Randy Travis being found guilty of drinking while driving and being found helpless in the middle of the road naked, I certainly considered it no laughing matter whatsoever. I instead felt deeply worried for his life. It’s heartaching to see how the manic highs and lows of fame can psychologically and emotionally take a toll on most anyone and one’s constitution. And all I can say is I’m relieved we haven’t lost him only because of a lunkheaded mistake. Help is available if he has a drinking problem. I hope that he recovers from his stroke in all facets of life and that he recovers his musical abilities like Jerry Garcia did after his coma. Thanks for the update, Trig — glad to hear this. Do you know if he is still gonna be at the Jones tribute? I haven’t seen any information on that, but my wild guess would be “no.” With the lack of information surrounding Randy’s actual condition and with the issues he had, I think fans should be very realistic about Randy’s prognosis, and very patient to see him in public or performing again. 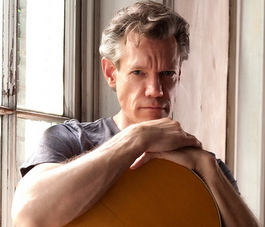 Randy Travis’ pneumonia, like David Allan Coe’s auto accident, is more country than anything on Florida Georgia Line’s album. Glad he got to go home! Hope he continues to do we! Wonderful news I hope and pray for a full recovery and eventually the ability to return to hsaring his amazing voice with the fans. Thanks so much for the update. Praying for him everyday. Good Speed & Healing to ya Randy! I’ve been a fan since “1984”. SO HAPPY AND RELIEVED TO KNOW THAT RANDY IS ON THE MEND. A TRUE GIANT COUNTRY STAR WITH A GREAT VOICE AND BEAUTIFUL SONGS. Randy has all of the signs of late stage lyme disease. I hope and pray he gets ongoing treatment for this. There are natural ways to treat this which I am sure he is aware of. Avoiding processed foods, sugar, gmo toxins and eating organic foods is very important. Herbal remedies are available along with supplements to help his healing process. He may not ever get totally healed from it, but he can get much better with the proper treatment. I pray he makes sure his doctors don’t ignore this as it could be life threatening if whatever new symptom isn’t treated appropriately. God bless Randy and I pray he prosper and be in good health even as His soul prospers. I’m glad to hear you are doing well. You have always been my favorite singer. Keep getting better!